1. 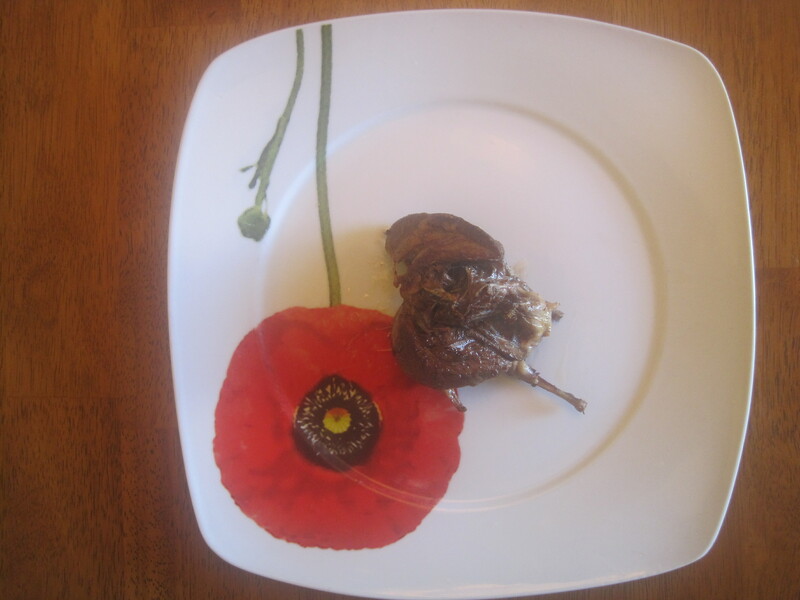 Pour the Canola oil into a frying pan and place the cleaned pigeon or dove into the oil. Cook until browned, add all the ingredients separately throughout the cooking process. 2. Then lastly pour the beer onto the bird and once it has been all cooked up and the bird meat is dark enough remove it from the pan and place it on a plate. 3. Serve with small Parisienne Potatoes.